The Vandoren Traditional Tenor Saxophone reeds feature the thinnest tip with the thickest heart, resulting in crisp articulation with a full, dark sound. The Traditional box are the standard by which we judge all else and are amongst the most popular reeds worldwide, preferred by classical players and students (although suitable for any style). Filed Cut. As advertised and competitively priced. These reeds are a good match for my sax. They do no colour the tone and have a full, smooth sound. Great consistent reeds with a nice versatile sound. The Vandoren tenor sax reeds I bought are of same high standard as the other reeds I have bought from Dawkes. I find Vandoren reeds are the best for me. Have used Vandoren reeds for several years and have found them of good quality and will continue to use them. I always buy my reeds from Dawkes and have done so for several years. I use Vandoren reeds for the 3 saxs that I have and I am always impressed with the quality and speed of the service I get from Dawkes. Vandoren reeds are the only reed that I play. Have tried other makes but I always come back to Vandoren. 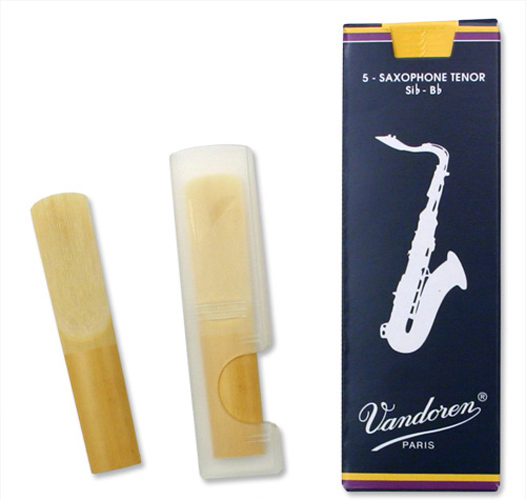 I have used Vandoren reeds since the 1960s when a tenor sax then cost two shillings & six pence (12.5p) each.